“For Those Who Sailed Here To Find A New Life”. 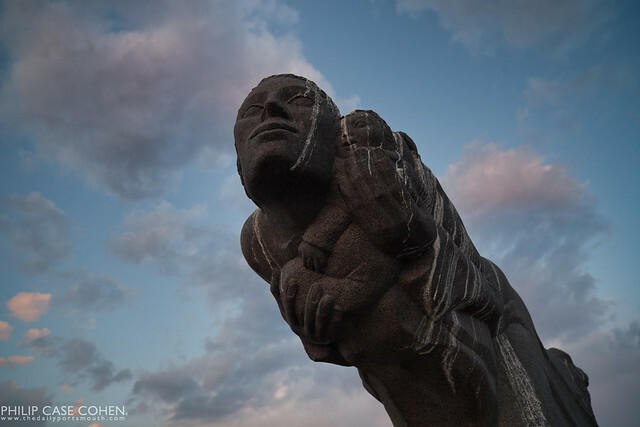 This is what the inscription on the statue overlooking the Memorial Bridge says on Four Tree Island…The mother’s face along with the little child held in her hand are pretty striking, especially under a cloudy late afternoon sky. If you haven’t yet – be sure to take a walk to Four Tree Island from Peirce Island to enjoy a great vantage point of the Commercial Fish Pier and the Memorial Bridge.